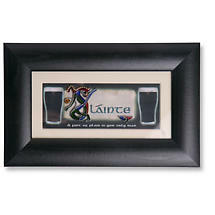 A truly great Irish gift! 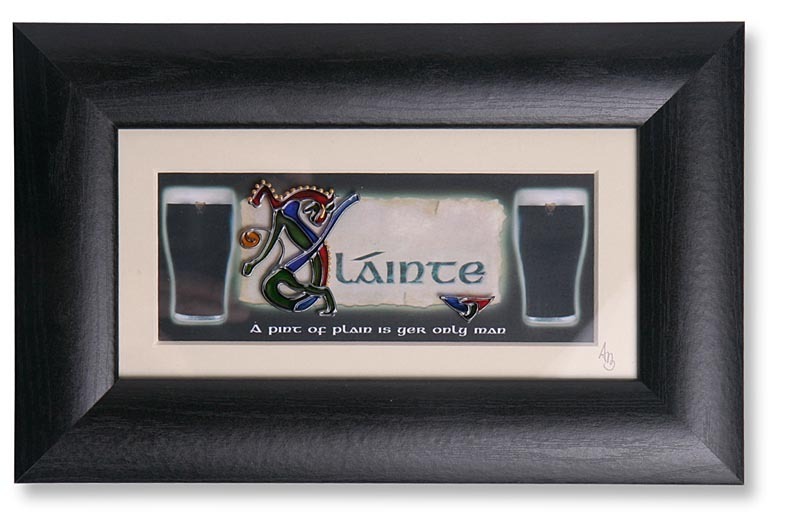 Get this beautiful handpainted raised glass framed print with a picture of Irish Stout and the traditional Gaelic greeting Sláinte (meaning 'Cheers') in Celtic lettering with the intial letter hand-painted. 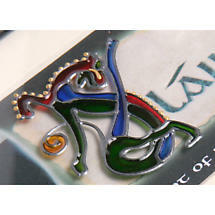 This item is hand made and hand painted in County Waterford Ireland, exclusive to IrishShop.com! 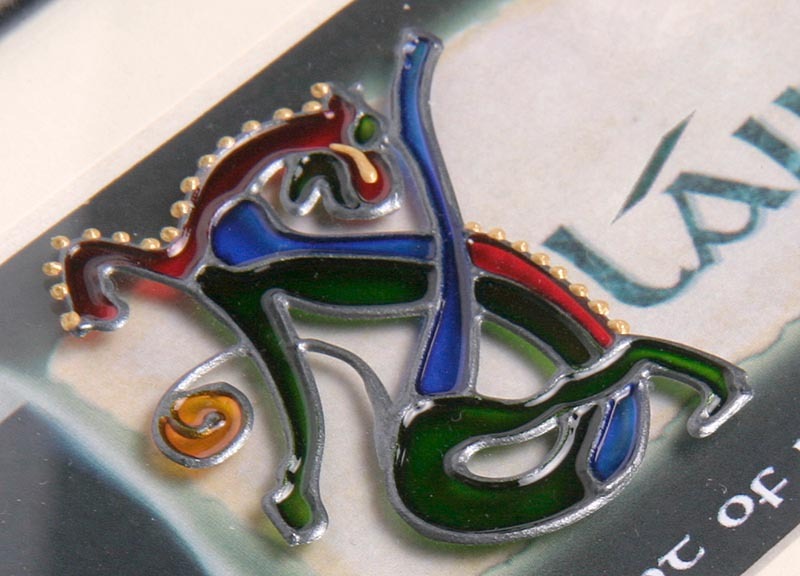 Measures 12.5 x 6.5 inches framed and ready to hang.